Medeco locks are made with pride in the U.S.A. For more than 40 years, Medeco has led the security industry in innovation and quality, guarding lives and assets at facilities worldwide. 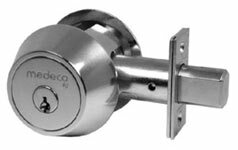 Medeco locks protect government and military installations, both locally and abroad, schools and universities, hospitals and banks, vending machines and parking meters, homes and offices, and much, much more. 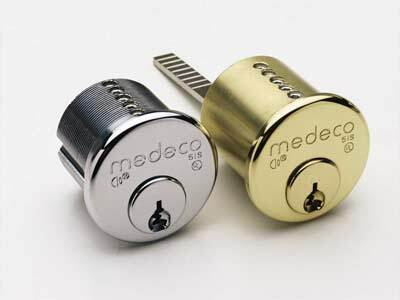 Founded in 1968, Medeco is a market leader in locks and locking systems for security, safety, and control. The company’s customer base includes wholesale and retail security providers, original equipment manufacturers, institutional, commercial, industrial, and residential end-users. When you need high security protection, don’t rely on an ordinary lock – ask for Medeco! Visit the Medeco website or view their Door Security PDF catalog HERE. Our factory trained and licensed locksmiths are experts in Medeco lock installations. 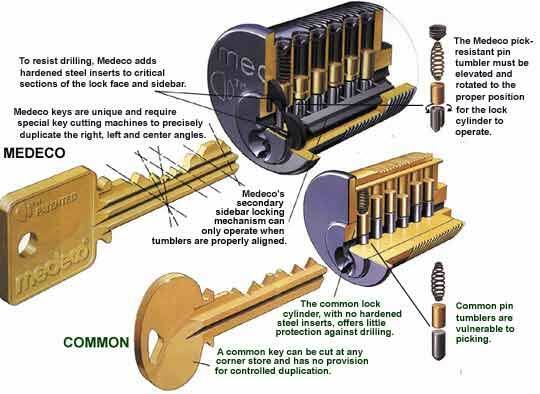 *A-Line Locksmiths sells the original Medeco, Biaxial Medeco and also Medeco³. 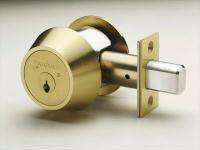 Medeco High Security Locks offers a complete line of proven security solutions and the best value-added services in the industry. As the industry leader and the trusted source for the highest quality pick, drill, and bump resistant locks and patented keys for over 40 years, Medeco offers an array of products to meet multiple security demands. Medeco’s users require security designed to adapt to changing situations and needs. Medeco’s products offer maximum flexibility without sacrificing security and control. Click HERE for a PDF brochure on the Medeco³.